Original title: ¡Ni lo sueñes! Daniela is a young scrapper who has endured a difficult past but in spite of her suffering she always has a smile on her lips. She works as a physiotherapist in a hospital and in her free time in a refuge for homeless children. On one of her shifts, the arrogant, irritable footballer Rubén Ramos is taken in having suffered an injury during a match. Rubén is a hunk, famous not just for his footballing ability but also as a womanizer and heartbreaker. When he gets to the hospital he starts to order everyone around until he crosses paths with Daniela, who tells him a thing or two that stop him in his tracks. When the footballer is told he needs physiotherapy, he decides he wants her to be in charge of his recovery, basically just to piss her off. 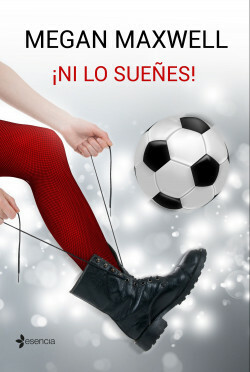 The star footballer is unbearable but Daniela decides to take her revenge by smiling. Why give him the satisfaction of being offended or angry? And it’s precisely that which catches the footballer off-guard and makes him see that money and perfection aren’t everything in life. Ni lo sueñes! is an intense, moving story that shows us we’re all technically perfect and that we all deserve a hunk in our lives. A romantic comedy about a drama that affects many women but most of all fun, passion and love.